Apr. 6, 2019 4:15 p.m.
Tempers flared as opponents of controversial legislation to expand conservatorships for homeless people interrupted a town hall hearing hosted Saturday by state Sen. Scott Wiener, and assemblymembers David Chiu and Phil Ting, who intended to discuss issues impacting their districts. Senate Bill 40 is Wiener’s revision and expansion on his previous conservatorship bill, SB 1045 — both address procedures regarding 5150 psychiatric holds and subsequent conservatorship for people deemed “incapable” of handling their own health. 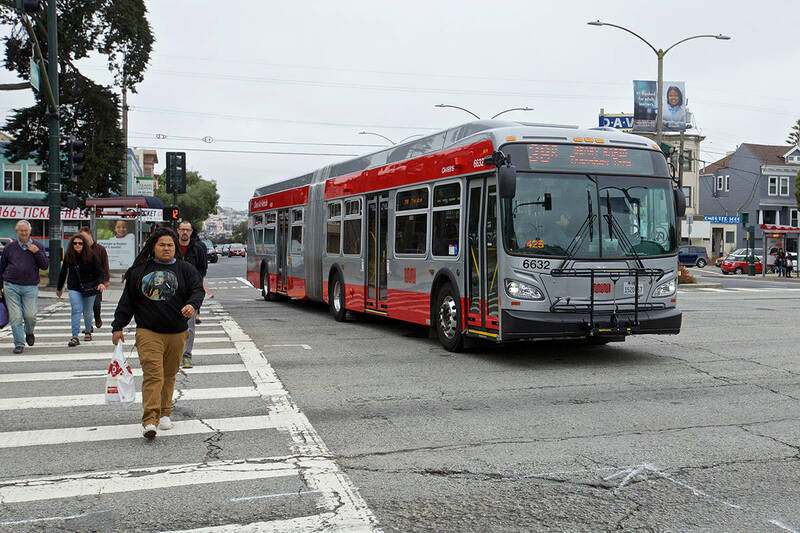 Local advocates of the bill include Mayor London Breed and Supervisor Rafael Mandelman who argue that the bill would only affect those who are most at risk of endangering themselves. Some two dozen protesters — including representatives of the Coalition on Homelessness, disability rights groups and medical professionals who organized as the Voluntary Services First Coalition — rallied outside of UC Hastings College of the Law, where the hearing was scheduled to denounce what they called “an erosion of conservatorship protections” won previously from SB 1045. The protestors shared personal testimonials about their struggles regarding San Francisco’s homelessness crisis, despite facing backlash from other attendees who shouted over them. One of the event’s organizers twice threatened the rowdy crowd with cancelling the meeting. Among the controversies surrounding SB 40 is a revision that would no longer require patients to be offered an outpatient option before being forced into conservatorship. Advocates with the coalition said that homeless constituents were not at the table during the development of SB 40, which they oppose over potential civil rights violations. While The City has identified dozens of people potentially eligible for the holds, a requirement of the state law authorizing the local program has inadvertently limited the pool of those who could qualify to fewer than 10, the San Francisco Examiner has previously reported. Opponents to the bill maintain that forcing people into treatment is not the appropriate response to The City’s homelessness and mental health crisis. “We believe that something as momentous as taking away a person’s’ civil and legal rights and stripping their autonomy — something more dire than what is done to jailed prisoners — must be done with the utmost seriousness and deliberation,” said COH director Jennifer Friedenbach in a statement. Laura Waxmann contributed to this article.